Warren, William [Jr.] (1812-1888) American actor, son of William Warren (1767-1832), the celebrated heavy-set, puffy-faced Philadelphia actor-manager of the Chestnut Street Theatre. 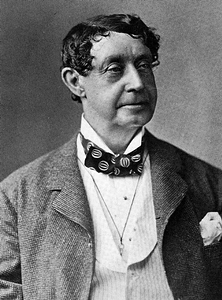 William, the younger was considered by many of his contemporaries to be the greatest 19th-century American comedian. At age 20, shortly after his father’s death in 1832, he made his debut at Philadelphia’s Arch Street Theatre as Young Norval in Douglas. Then for the next fourteen year he played in various cities across the United States including brief engagements in New York and London. 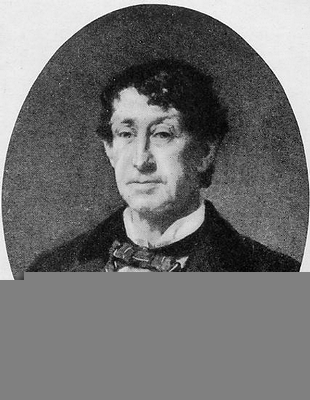 Tired of the touring life, he eventually settled in Boston in 1846, where he became a member of the Howard Atheneum Museum. 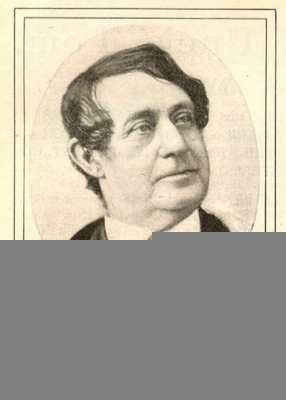 A year later he moved to the Boston Museum, where, expect for one season, he continued as its leading comedian until his retirement in 1882. During his stint there he gave over 13,000 performances in nearly 600 plays. No actor of his period was so thoroughly identified with a single theatre. During his 50+ years career his gave over 13, 345 performances and is said to have portrayed 577 characters. His versatility in comic roles was practically limitless although his special talent was with eccentric types. He was a large, tall, jowly man, with penetrating, heavy-lidded eyes and a large shock of curly black hair. His most admired interpretation include: Sir Peter Teazle, Dogberry, Sir Lucius O’Trigger, Polonius, Tony Lumpkin, Lancelot Gobbo, Touchstone and numerous comic roles in contemporary pieces including Jefferson Scattering Batkins in The Silver Spoon. When he died in 1888 at the age of 76, no other actors of his time had received more respect and affection from his public.